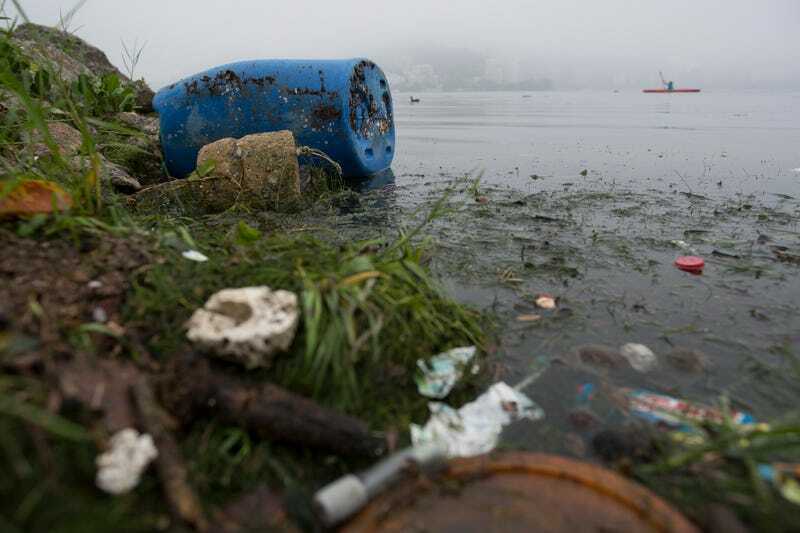 When bidding to host the 2016 Summer Olympics, Rio de Janeiro promised the International Olympics Committee that it would eliminate 80 percent of the sewage found in the city’s notoriously filthy water, and would fully regenerate the lagoon in which rowing and kayaking events will be held. Now a few months from the start of the games, Rio has given up on keeping those promises. “It’s not going to happen because there was not enough commitment, funds and energy,” Rio 2016 spokesman Mario Andrada told Outside the Lines. “However, we finally got something that the bay has been missing for generations, which is public will for the cleaning. That’s not a very encouraging statement, doubly so considering that independent testing done by the Associated Press suggested that the presence of viral pathogens in the water was a problem the IOC was failing to address. The U.S. will send 48 rowers to Rio, and they will be as forewarned and forearmed as the federation can make them, starting with squeeze bottles of hand sanitizer that will be distributed on the flight to Brazil. Hannafin says the athletes have been asked to get hepatitis A vaccinations and polio boosters and take the oral typhoid vaccine. Their oar handles will be bleached and their boats washed inside and out after each training session or competition. Gear will be laundered at a high enough temperature to kill microbes. “Track bites”—the nicks rowers get on the backs of their calves from their sliding seats—will be cleaned and covered to reduce the chance of infection. Probiotics screened by the USOC will be on the training table. Should be a great Olympics.